Mauricio Pochettino says Harry Kane is making a "fantastic" recovery and could be back in action ahead of schedule following the ankle injury he suffered last month against Manchester United. Kane was initially ruled out until March, but Spurs boss Pochettino said the England captain could feature in his side's Premier League match at Burnley on February 23. "Now he is here, he is doing well, he is doing fantastic. You know very well we need to stop him every day because he wants to be ahead of his recovery," Pochettino said on Friday ahead of Tottenham's clash with Leicester on Sunday. "He's very optimistic and determined to play as soon as possible -- it's unbelievable but he's doing well. "If you see him he's nearly ready to play but we need to be realistic too and of course in between all the areas to take the best decision. "He's so close to coming back again. Not for Sunday, not for Wednesday but we will see after." Pochettino, whose side are third in the Premier League, five points behind Manchester City and Liverpool, spoke of his disappointment that their clash with Leicester has been moved to Sunday for television when Spurs face Borussia Dortmund in the Champions League on Wednesday. The Argentine also said he felt it would be "tough" for Tottenham to move into their new stadium before the end of the season. The club announced another delay to the grand opening earlier this week, confirming that the north London derby against Arsenal on March 2 will now take place at their temporary home of Wembley. Spurs were originally due to move into their new 62,000-seater White Hart Lane stadium for the start of the current campaign. The move has been put back on numerous occasions and now, with the Arsenal game confirmed as being played at Wembley, there are just five home games left. Asked if he still expected to relocate before the end of the season, he said: "My gut feeling (is that) it will be tough but I hope and I wish to be in the new stadium." 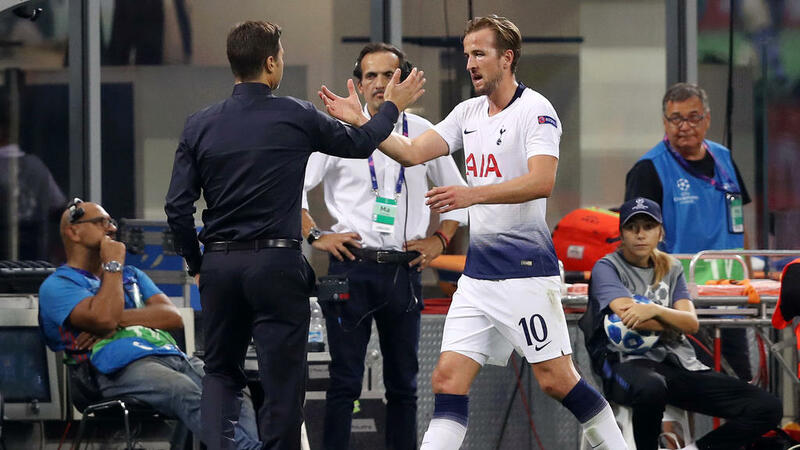 Pochettino also denied that he and assistant coach Jesus Perez had a secret dinner date with David Beckham and Zinedine Zidane during the week. With Beckham and Zidane both having played for Real Madrid and Pochettino heavily linked with the managerial post at the Bernabeu, the rumour mill was sent spinning when all were photographed leaving the same London restaurant on Tuesday. "I was with Jesus and another person. We were three and there was a table. We met by coincidence with (Beckham and Zidane) and that is all there is to it," Pochettino said when quizzed over the incident.